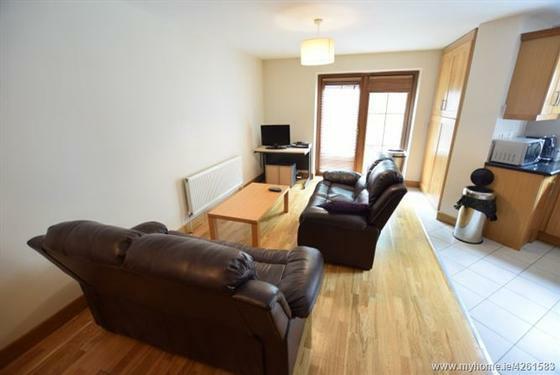 ERA Downey McCarthy are delighted to present to the market this two bedroom ground floor apartment in excellent condition throughout with some modern tasteful extras. 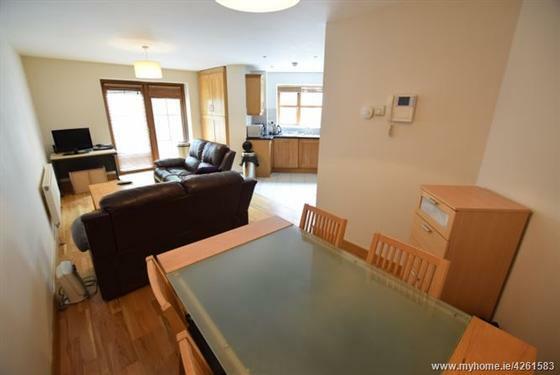 Accommodation consists of reception hallway, superb open plan kitchen/dining area, two spacious double bedrooms, one en-suite and a family bathroom. Viewing highly recommended. 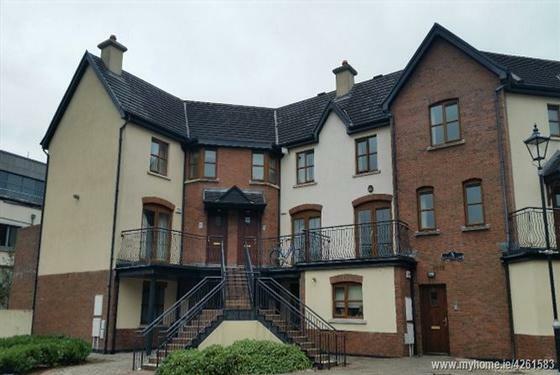 The front of the property has an attractive maintenance free facade of red brick finish. A teak door with glass paneling allows access to the main reception hallway. To the rear of the property is a communal yard with south-west facing aspect, a maintenance free gravel finish and a selection of mature shrubs and plants. The above details are for guidance only and do not form part of any contract. They have been prepared with care but we are not responsible for any inaccuracies. All descriptions, dimensions, references to condition and necessary permission for use and occupation, and other details are given in good faith and are believed to be correct but any intending purchaser or tenant should not rely on them as statements or representations of fact but must satisfy himself / herself by inspection or otherwise as to the correctness of each of them. 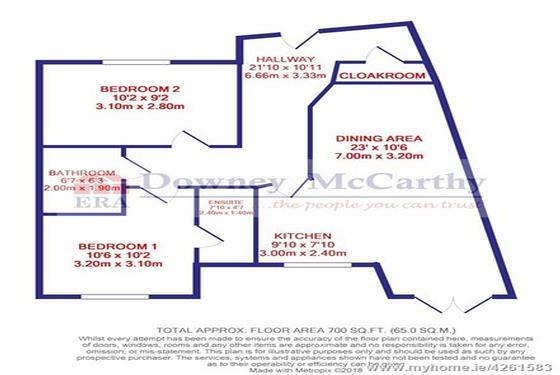 In the event of any inconsistency between these particulars and the contract of sale, the latter shall prevail.The details are issued on the understanding that all negotiations on any property are conducted through this office. 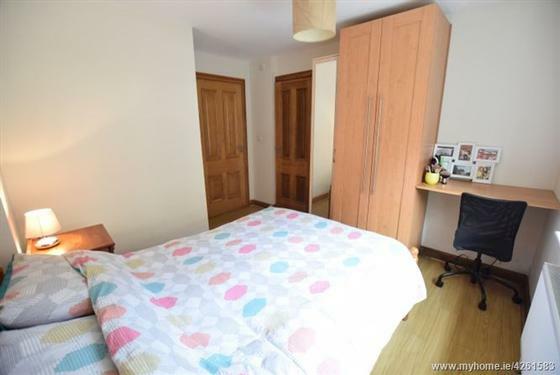 The hallway has high quality laminate timber flooring, attractive neutral décor, two centre light pieces, smoke alarm, one radiator and a storage area located off the hallway. A doorway off the hallway allows access to the kitchen/dining area. A superb open plan room with high quality solid oak fitted kitchen units at eye and floor level and contrasting granite worktop counter. Tiled splash back surrounds the kitchen area, there is one window to the rear of the property with Venetian blinds, tiled flooring, recess spot lighting and integrated oven, hob and extractor fan. 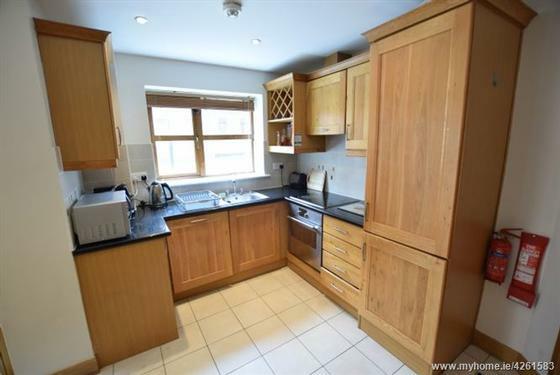 Other features include a dishwasher and fridge freezer. The dining/living area has double glass doors that allow access to the rear yard. The room itself has two centre light pieces, high quality semi solid oak timber flooring, one large radiator, built-in units, sixteen power points, one telephone point, one television point, an intercom for the gates, thermostat control for the heating and a carbon monoxide alarm. Plumbing is also cleverly disguised behind built-in units. 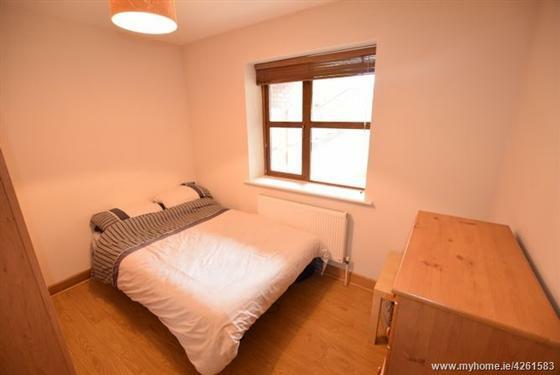 A spacious double bedroom with one window to the rear of the property which includes Venetian blinds, high quality timber flooring, impressive built-in units, one radiator, one centre light piece, six power points, one tv point, one telephone point and a doorway from the room allows access to an en-suite bathroom. 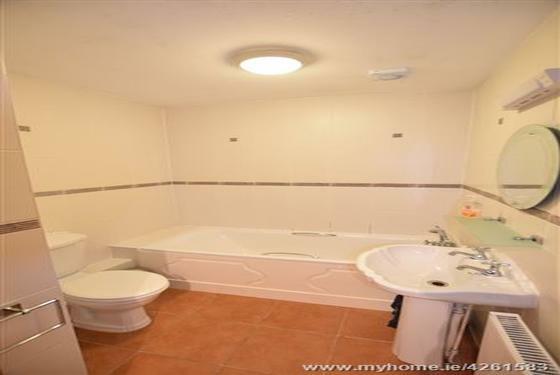 A three piece suite including a corner shower, impressive modern floor and wall tiling, one centre light piece, one radiator and one extractor fan. 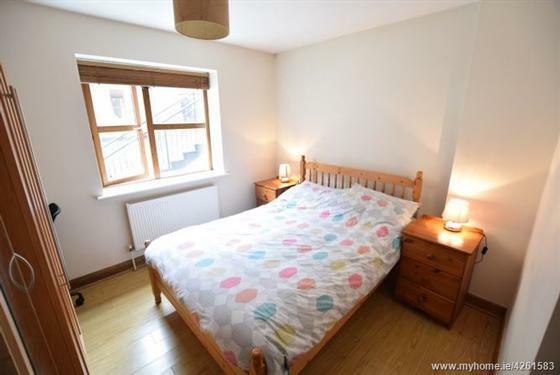 A generous sized double bedroom with one window to the front of the property including Venetian blind. 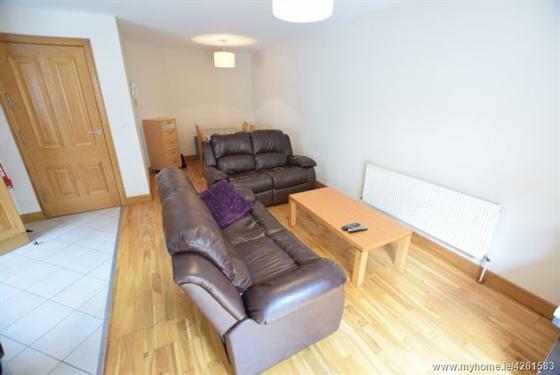 The room has attractive décor, high quality laminate timber flooring and fitted units. One centre light piece, one radiator and four power points. The main bathroom features a three piece suite and impressive tiling from floor to ceiling including attractive border tiles. One centre light piece, one wall mounted light piece, one extractor fan and one radiator.